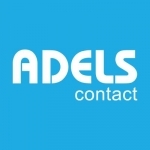 Since 1930, Adels-Contact has been a synonym for intelligent high-end solutions for luminaire connection and appliance connection. Our guiding principle “the safe contact worldwide” stands for innovative strength, product quality and customer focus. With more than 300 employees in more than 60 countries, Adels-Contact has successfully positioned itself in the world’s market.